Come see this charming 3 bedroom 2 bath w/ office/den home in River Hills. Warm and welcoming, this home features a split open floor plan with **HIGH CEILINGS** and **NO BACK DOOR NEIGHBORS. ** A neutral palette property ready for your personal touch! Large windows allow natural light to spill in throughout the home. The kitchen includes an island, an abundance of cabinet space, closet pantry, and eat-in dinette! The **OPEN FLOOR PLAN** creates a steady flow between the family room, and kitchen perfect for family gatherings! The spilt floor plan allows for a private master suite. Ensuite master bath includes a large garden soaking tub w/separate shower and walk-in closet. The additional bonus area off the master suite would be perfect for an office, nursery, or flex space. The secondary bedrooms are nicely sized with ample closet space giving you flexibility for your needs. Relax with a good book in your over-sized screened-in lanai. **A GARDENERS PARADISE** This home features an inside separate laundry room with utility sink. River Hills Country Club is a 24-hour dual manned-gated community conveniently located to restaurants, entertainment, A-Rated School Systems and to our beautiful Florida beaches & theme parks. 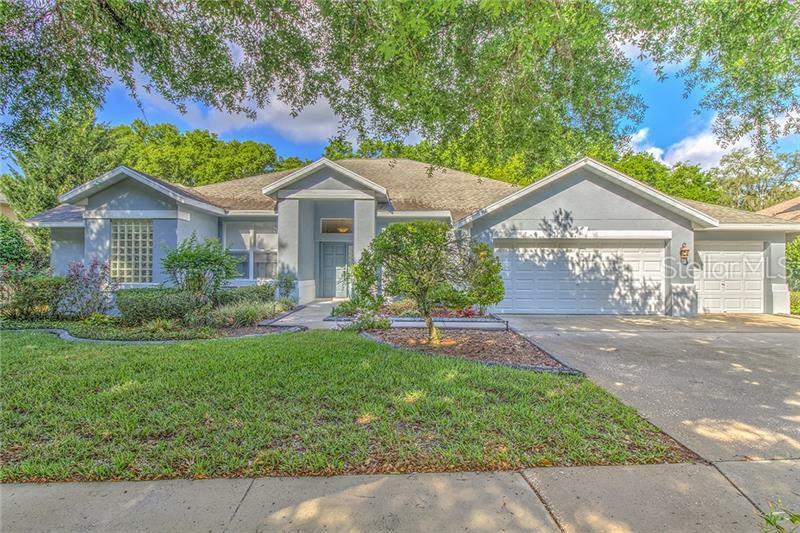 Call today for your private showing & experience the Florida lifestyle!